We will be closed over the New Year, opening again as usual from 10am on Saturday 5th January. Thank your for your custom and Happy New Year! Unfortunately, due to adverse weather conditions, the shop will not be open on Saturday 3rd March. We hope to be open as normal on Tuesday 6th March. Please accept our apologies for any inconvenience caused. 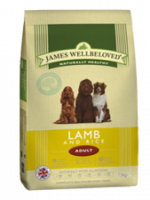 2kg adult dog complete kibble at only £6.99 for a limited time. Offer available only while stocks last. Normal price is £8.15. All dog collars, leads and harnesses are now half price. They are going fast so pop along and grab a bargain before it’s too late!